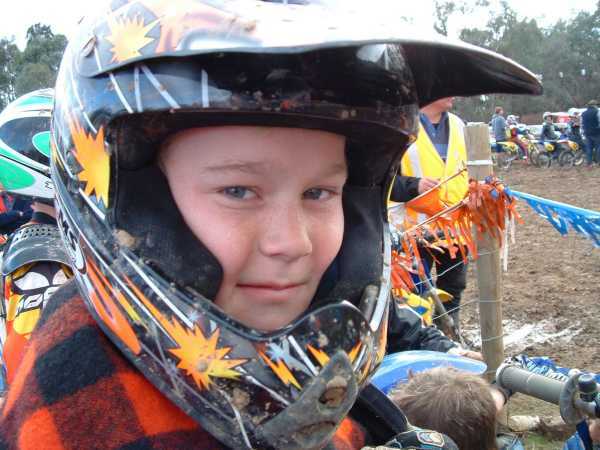 There was 3 rounds of the 2003 Victorian Junior Motocross Titles. The first round at Bacchus Marsh, the second at Outrim and the third at Wodonga. The best team results achieved by ACS Racing. A first and third in the Up to 125cc 4 Stroke Class. 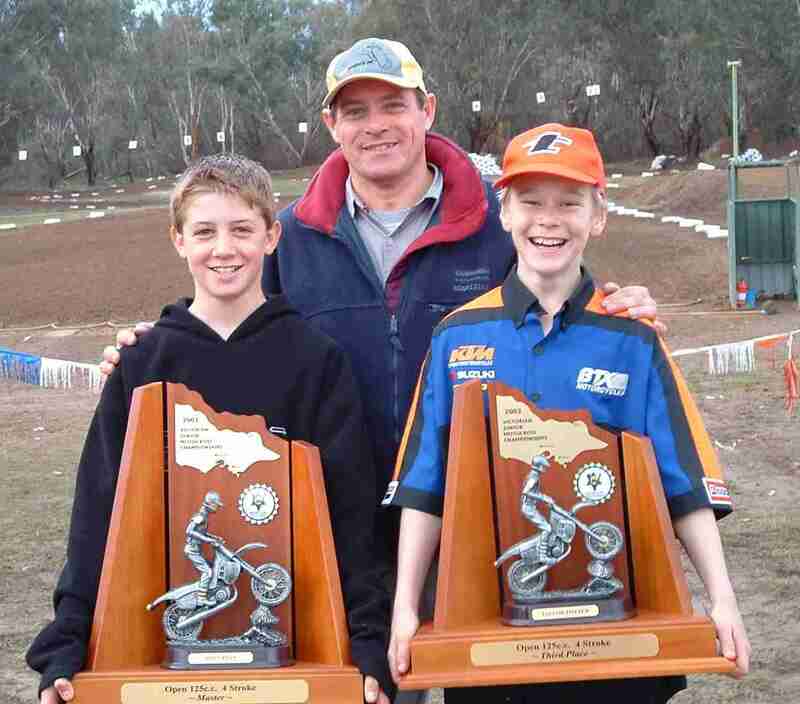 Matt won the 12 - U16 Combined Class Up to 125cc 4 Stroke class on the Yamaha TTR125 and also won the 12 - U16 'B' Grade 85cc class on his Yamaha YZ85 in the 2003 Victorian Junior State Titles. Taylor achieved a very good 3rd place in the 12 - U16 Combined Class Up to 125cc 4 Stroke class on the Honda CRF100. Massive engine failure in the first round of the Series meant that Taylor pushed hard to get back to 3rd. 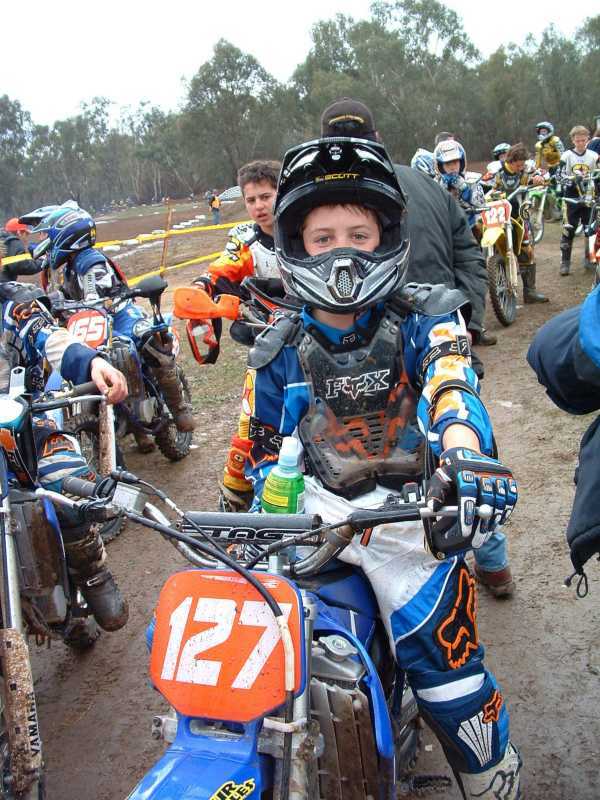 He also achieved 10th place in the very competitive 12 - U16 'A' Grade 85cc class on his Suzuki RM85 in the 2003 Victorian Junior State Titles. Matt in the return compound area awaiting any protests to his winning ride on his Yamaha YZ85. Taylor in the starting chute waiting for his last race. Confident!